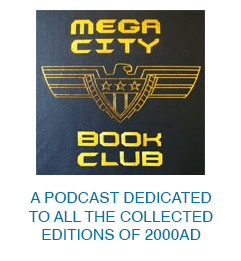 If you’ve been to any of the previous Lawgiver conventions, then you know exactly what to expect. 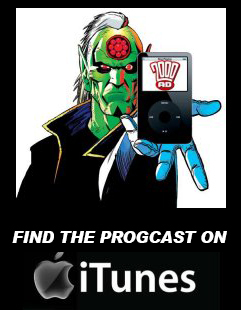 For those who haven’t but are 2000 AD fans, then this is for you! Lawgiver IV is bigger than ever, with guests being announced quite regularly over the last few weeks. The creators range from the early Progs right up to the very latest droid to grace the pages of 2000 AD, more of him later! What happens at such a con I hear you say, well let me tell you. This convention is a small scale one but extremely colourful, with the intimate approach to the guests. It’s a one day event but many of the fans and quite a few guests turn up on the Friday for a wee bit of drinking and keep drinking until the wee hours of Sunday morning. 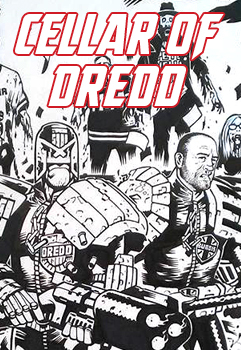 If you have not heard of the DSDC (Dredd Screening Drinking Club), then you will find them on the Grain Barge drinking happily on the Friday evening. They then retire to the hotel bar! Come the Saturday, everyone helps out set the con up and prepares for the doors to open. Su Haddrell (the organiser) then does a welcome speech and the day of fun commences. During the day there will be a variety of panels with Q&A’s for the guest, there’ll be sketching at the artists tables, artwork for sale, alongside their latest books. During the time you are at their tables, that’s a great time to ask that question that may have been bugging you. Just look at the poster below to see who’s coming and then start packing your comics and books to be signed. Try and pre-order a sketch or a commission. Ask if they are bringing any art and get your request for a page in now! Alongside the official droids, there will be people from the world of small press and you never know, these may become the stars of the future! There will be tables of merchandise to buy including the one and only Planet Replicas, who are the leaders in the field of official 2000 AD merchandise. What they will have on the day, who knows but they will be bringing items from their sterling work on the two awesome fan films, Judge Minty and Strontium Dog. Fat Boy Dale will be bringing a selection of his artwork to sell, so get your wallets out. If you don’t know Dale, he has a massive collection, which includes the fabled AMERICA and who knows, he may bring that for us mere mortals to gaze at! They also have loads of cosplay, which really adds to the fun of the day. Planet Replicas comic style Judges, 2012 Karl Urban style Judges, perps of all sorts including some of the Angel Gang. There will be a right mix of characters walking around and if you feel like dressing up and getting in on the fun, then why not and if you feel like dressing up as a non 2000 AD character then go for it. Just think of the photos you’ll get being beaten up and shot! These lunatics will end up wandering around the town at some stage as well, which becomes a surreal experience. By the way, dressing up is not compulsory! That’s all that is known at the moment but going from the previous years, there will be a few more surprises to be added before the day itself. Rest assured when we find out, we will let you know! Now right at the top we mentioned that the con will have the newest droid there and here he is, Paul Williams. Congratulations! Once the con is over, most people stay for more drinking and having a laugh and then leave on Sunday morning. All you have to do now is go to the official site and buy your tickets, which you will find HERE! 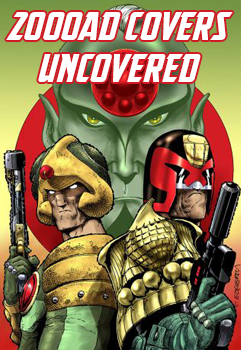 ← 2000 AD Regened for FCBD 2018. Interviews with some of the creators!